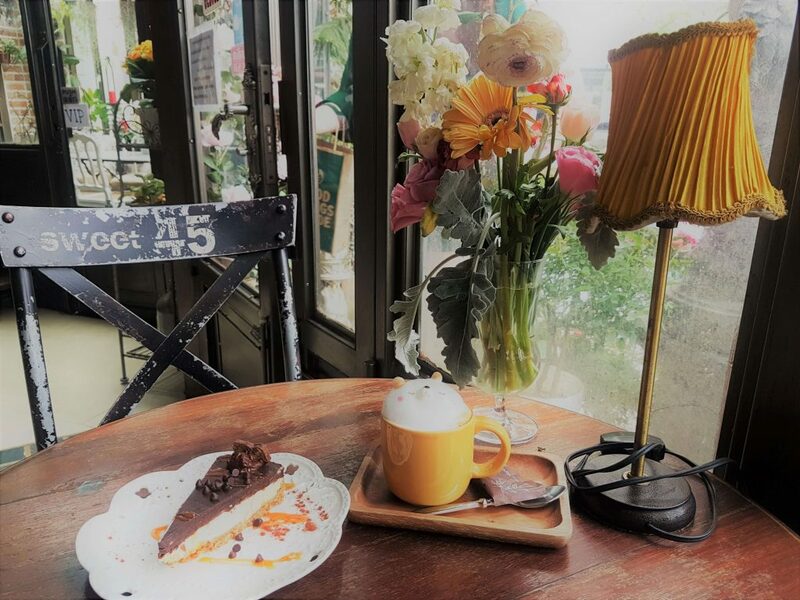 I’m a caffeine and cake addict so I’ve really pushed myself to find the best cafes to visit in Bangkok (ha!). This city most likely has the biggest amount of the most peculiar and the most beautiful coffee shops in the world. 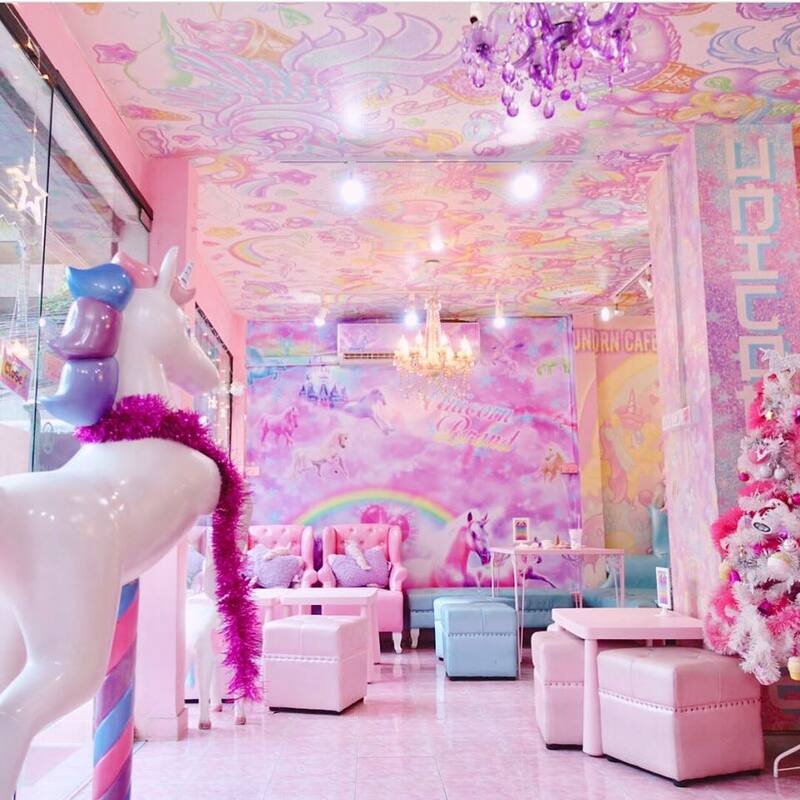 I think the whole themed cafe mania started from the Unicorn Cafe and its been crazy since. 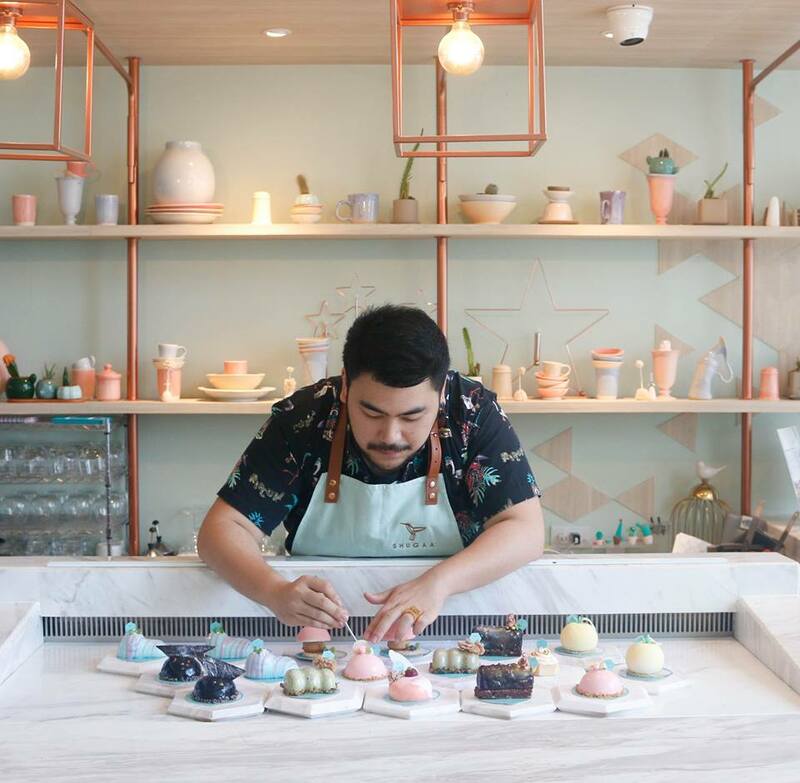 Here are some of my favorite cafes in Bangkok. I have visited most of them by now and plan to see the remaining ones too. 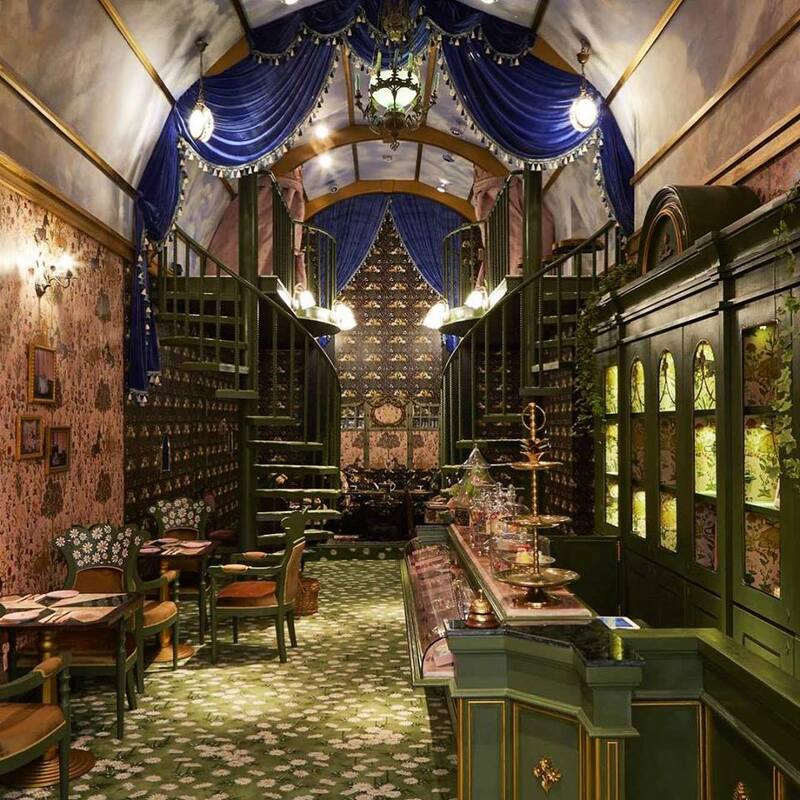 This Bangkok cafe is most likely the most beautiful cafe that I’ve ever been to. It blew my mind! And you know what, they actually change the decor about 4 times a year. Can you believe that? You can enjoy its ever-changing beauty in different themes throughout the year. 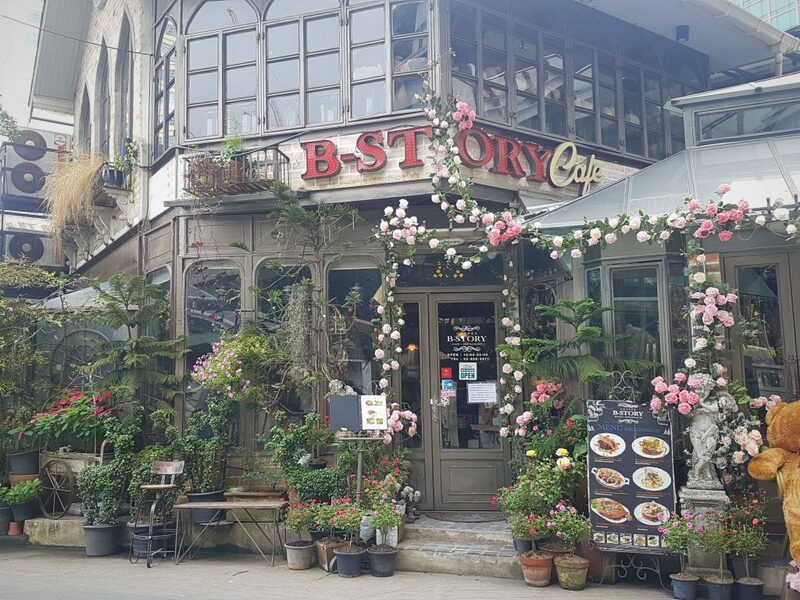 This cafe actually started as a flower shop and it’s grown from there. When you visit this place, you have to walk through the flower shop and take the stairs upstairs. 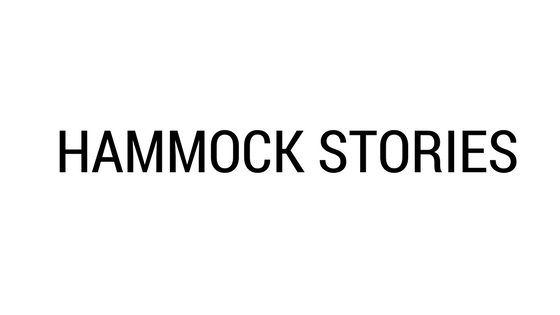 There you will find this hidden gem. As you might expect, the prices are higher than at your average Bangkok cafe but oh, so worth it! 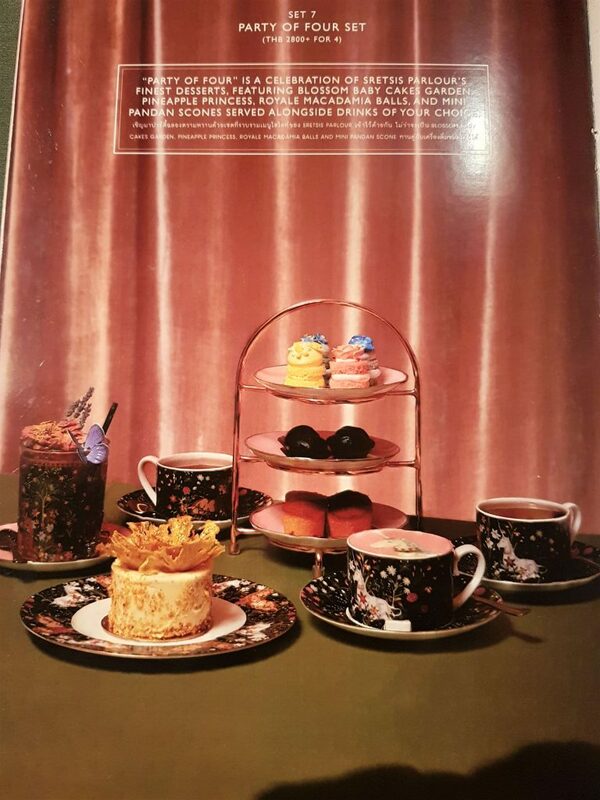 The menu is leaning on towards sweet things but there are some savory dishes also. 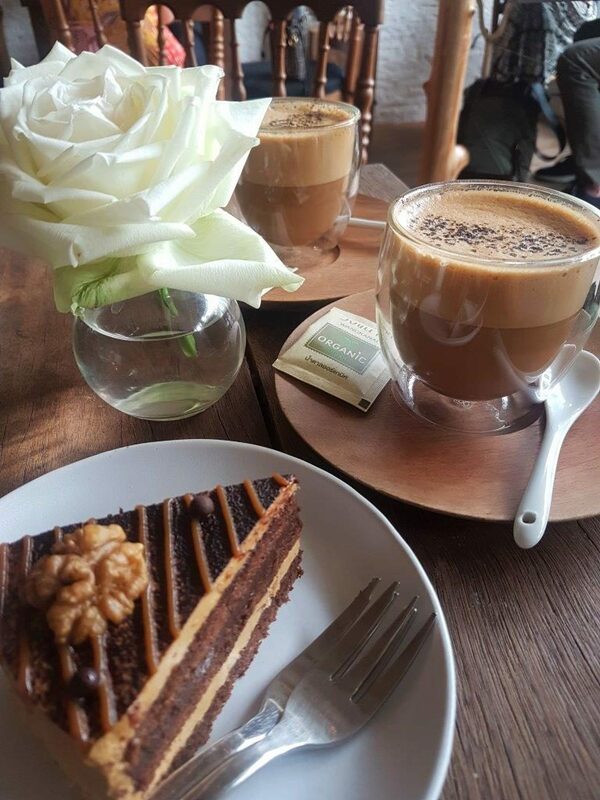 When you leave this boutique coffee shop, remember to pop into the flower market next door and smell the roses (literally). 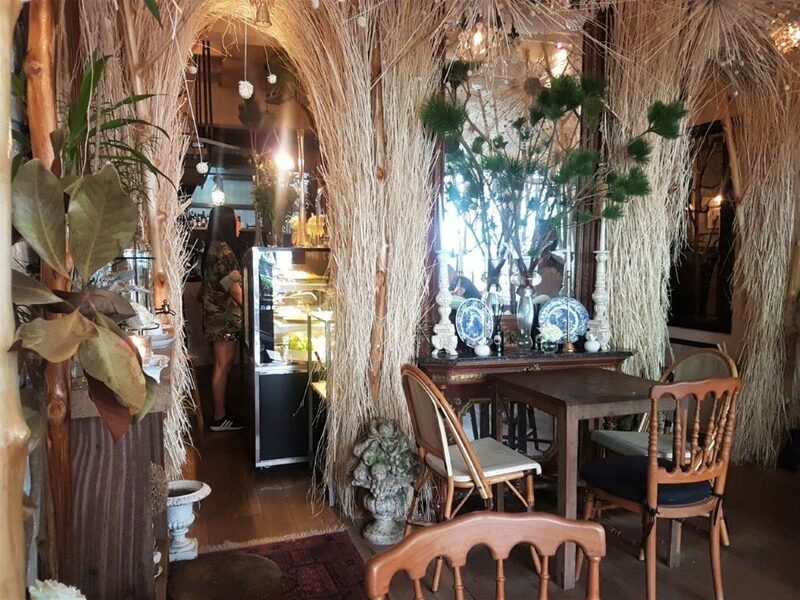 Stretsis Parlour – the Most Instaworthy Cafe in Bangkok? 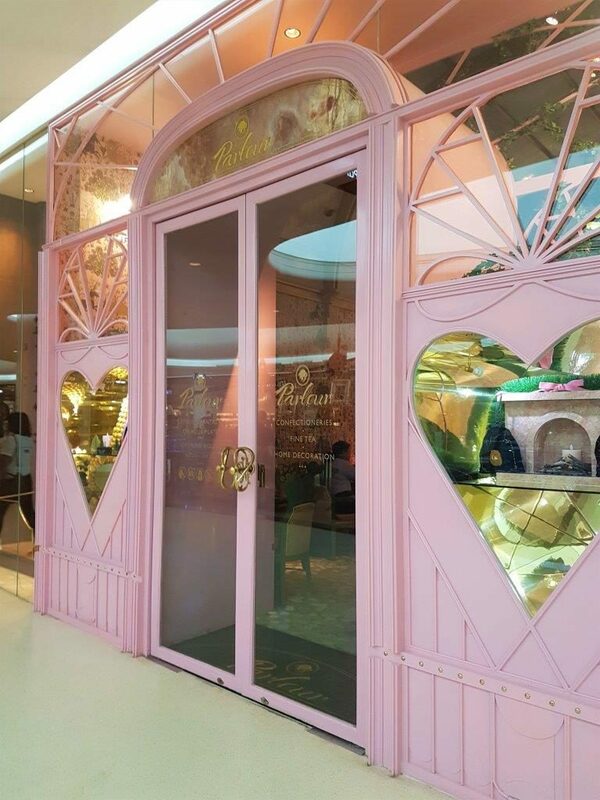 This Central Embassy located Insta heaven with its fairytale alike cakes and latte art seemed like a must-do when I was thinking about which Bangkok cafes to visit. I had high hopes for it but I must admit, this time, it didn’t live up to its expectations. I will mention it here, nevertheless, because it has received raving reviews and I can understand what the fuss is about. I booked it on the same day and felt lucky that we got a table. But when we got there, the table was in the corner, next to the door and my seat was facing the wall which left me looking at the wallpaper only some inches away. The decor was pretty quirky, Alice in Wonderland alike but it’s no use if your head is facing the corner. There are a few special tables in the restaurant in which there is a minimum spending amount depending on the table (3000-10 000 baht). You are not allowed to move around so you won’t disturb other patrons. Despite the disappointment, we started browsing the menu which had unexceptionally beautiful and unique portions. When the waiter came by, most of the things we wanted to order had sold out. At this point, we felt that we wouldn’t be getting good enough value for our money and left. 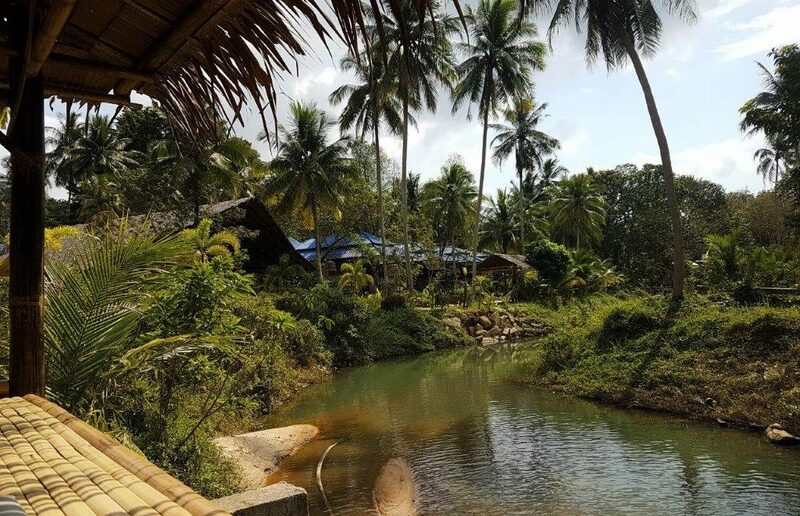 While the service was very friendly Thai style, we were wondering why the waiting staff didn’t tell us in the first place that many of the items on the menu were unavailable. This might be because of the Thai character which doesn’t want to cause conflict or lose their face. Tip! Book well in advance and insist on a table that is not next to the entrance. This place won my heart over. It’s just so pretty. Even the entrance promises that there is something special coming in. 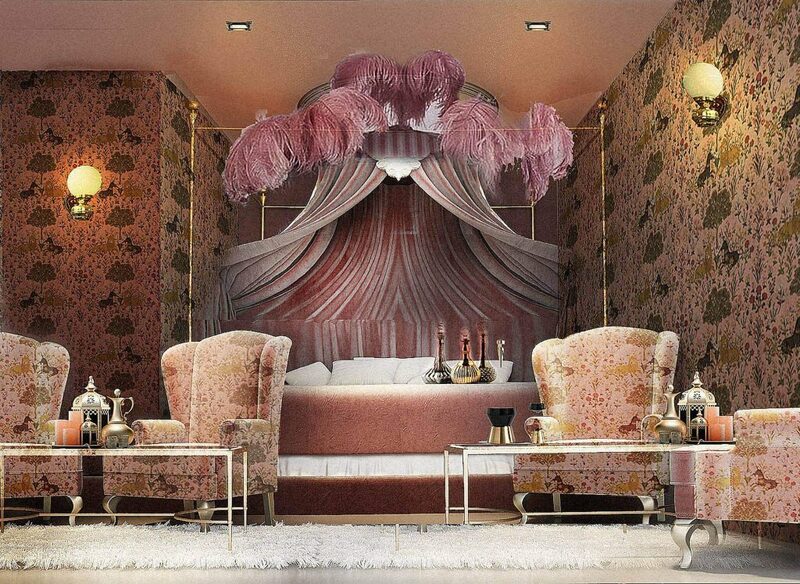 The inside ambiance won’t let you down. Their products are amazing too! I had a piece of divine Snickers cheesecake which caused a complete sugar rush on me. It’s okay though, I can handle that kind of side-effects, haha. They also master the delicate craft of latte art here: my cappuccino froth had taken the shape of a cute teddy bear. I saw even more sophisticated characters in other customers’ drinks and it just blew me away. Look at the latter art! This place offers a lunch menu also, which has eg. the yummiest Thai food dishes and some popular Western food portions. There seemed to be even a business lunch meeting here during my visit and the place is very popular among Thais also. Because we need more unicorns! This cafe has A and B sides so have a look at both sides and make your decision on which side you want to sit in. It can get crowded though so better come here at times when it’s not the busiest (during the week, in the morning, I would say). They don’t take reservations either so it’s on a first come, first served basis. 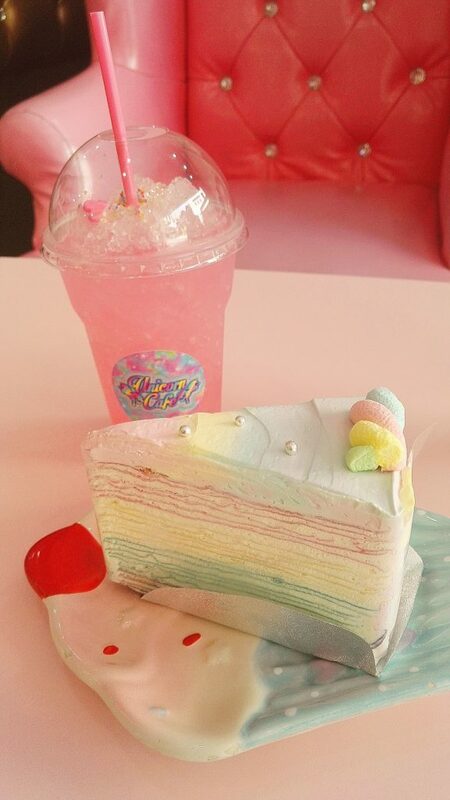 I have actually written a whole post about this pastel themed cafe and you can find it here. Overly cute and pink or what do you think? I would say this place is best suited for serious unicorn fans. Similarly, expect drinks and food items to be in sync with the unicorn theme and its rainbow colors. This means that in case you don’t fancy turquoise soda and pink cakes, you will probably be better off elsewhere. For true connoisseurs, I would actually recommend trying out the chocolate buffet at the Sukhothai hotel. Seriously, it might be one of the best experiences in my life. Ever. I have never, ever, ever tried such a good vegan smoothie. Divine! 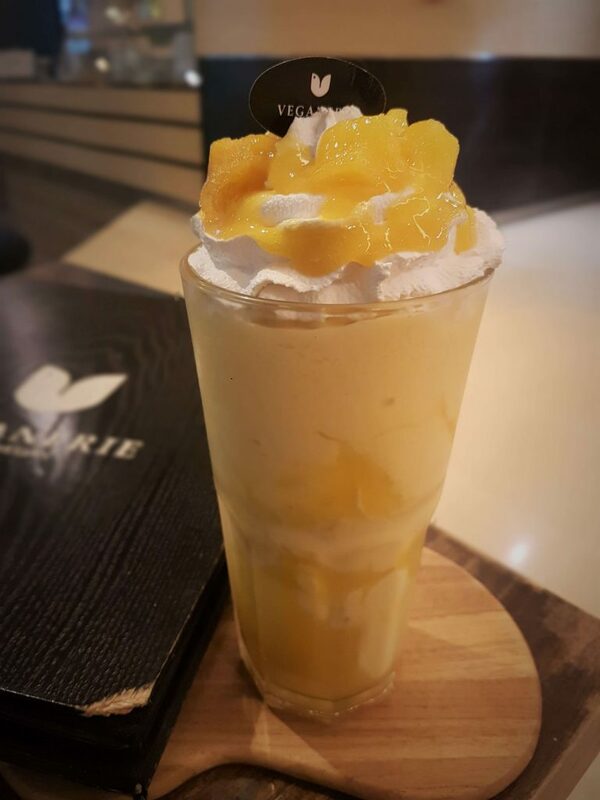 The mango smoothie, or shakes as they are called in Thailand, had vanilla soy ice-cream, fresh mango and a generous amount of whipped coconut cream. I will never forget it! For my main, I had satay inspired samosas with a side salad and I was happy with it. However, that mango smoothie just blew me away! My friend confirmed this: she had an avocado smoothie which was delicious but both of us just kept raving about the mango shake. Nowadays they have 4 coffee shops around Bangkok so no excuse to miss them. 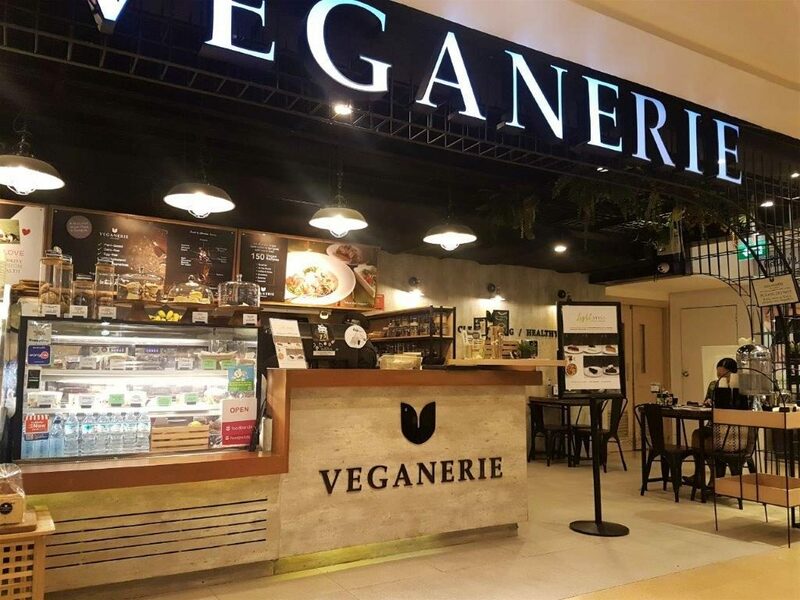 In case you have a carnivore as your dining companion, I think this might be your best bet convincing them that vegan food can be super delicious (in addition to it being super healthy). This cafe/backpacker hostel has a train theme! 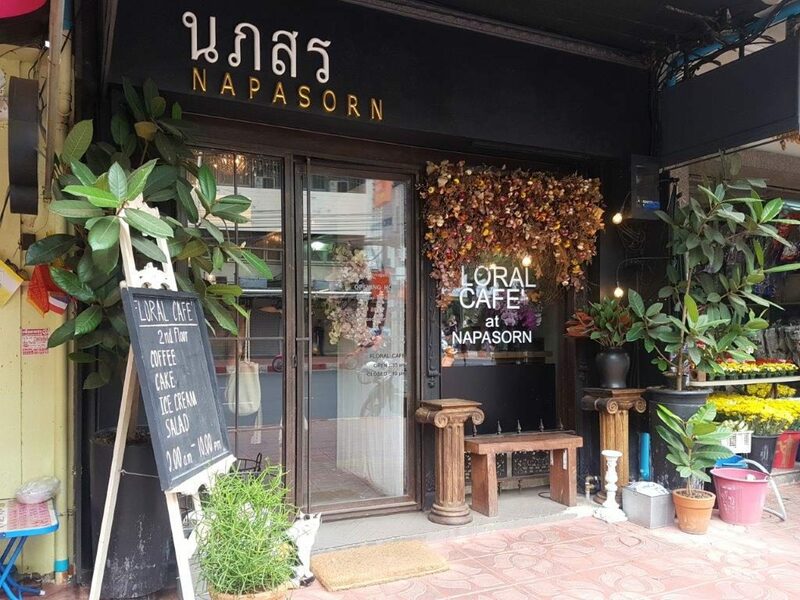 It’s conveniently located just around the corner from Khao San Rd so it’s easy to check it out if you are staying in the area. It happened to be closed when I went to have a look in the morning but go after 10am to experience this tiny cafe. 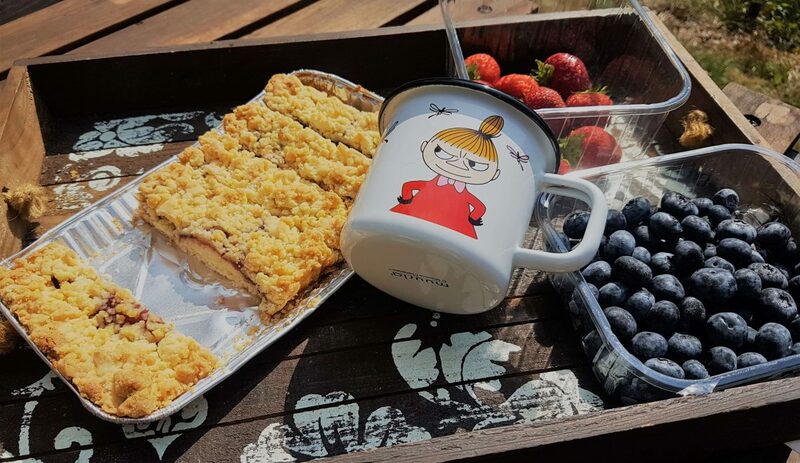 They have a variety of drinks (emphasis on coffee though) and some bakery products but mainly it’s snacks type, such as toasts and some granola for brekkie. The toasts had some more expensive ingredients in them, such as salmon but in my opinion, the truth is that Thailand is getting too expensive for many backpackers. Toasts that are 150-190 baht are just too much unless the location is spectacular. This is my favorite bakery/cafe which I visit nearly every time I’m in Bangkok because it’s around Khao San Road where I usually stay. It’s tiny but their products are amazing and prices are moderate compared to many other bakeries. You are spoiled with choice when you go inside. It is tiny though so it’s better suited for a quick grab or brekkie rather than working with your laptop for example. They have both sweet and savory delicacies and it’s often hard to choose between them. My salty favorite is perhaps the mushroom white sauce crostini though their sandwiches are yummy too. For that sweet moment, I tend to choose different things but perhaps their various danish favors are my staple. I can’t believe I didn’t hear about this coffee shop/bakery until recently. You know where to find me on my next Bangkok visit! Chef Bo with his team creates utterly sumptuous and unique cakes and desserts. The portions are actually so cute that I think it would be really hard eating them. The cakes and desserts are called 3D cakes and just by looking at them, you’ll understand why. In the cafe they serve pasta also but why on earth would anyone want spaghetti in a place like this?!! 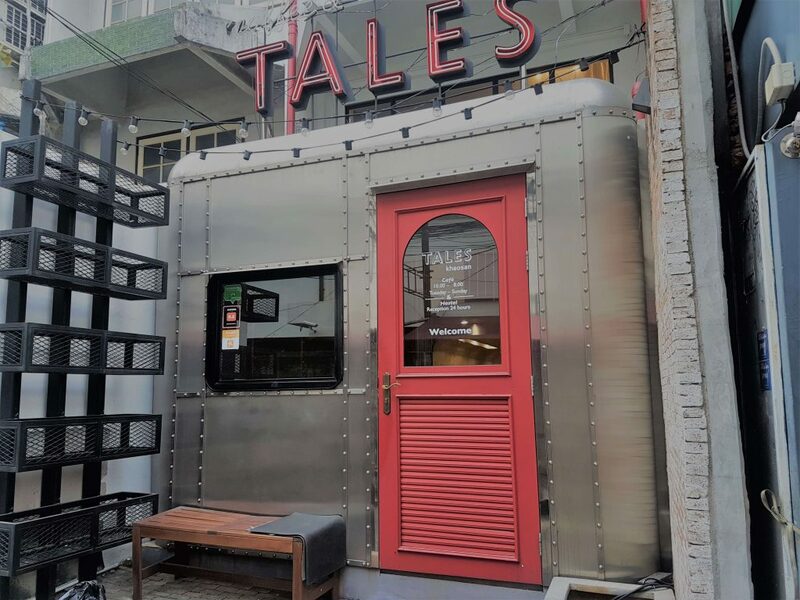 As you can see, there is no shortage of cool cafes in Bangkok and I doubt this trend will subside. 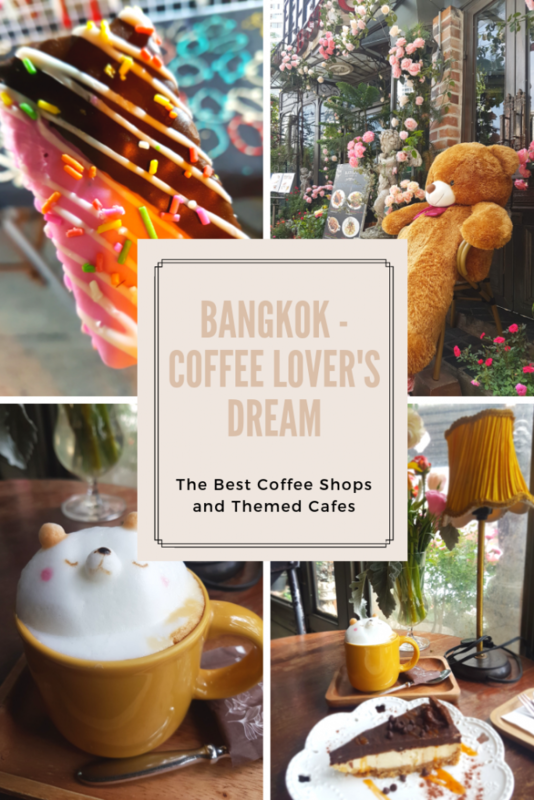 Thai people love everything cute, sweet (as in sugar) and the coffee scene has been blooming so we will keep returning here to find the best coffee shop in Bangkok. Have you been to the city already? 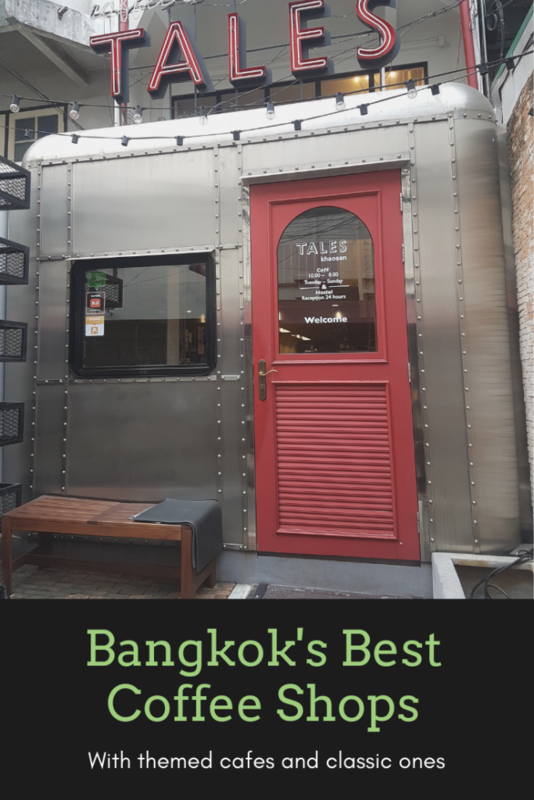 Which one do you think is the best cafe in Bankok? Perfect timing for us. We’ll be in Bangkok this week! Perfect! I’m sure you will find “a few” cafes to visit. Oh my gosh these all look so cute! I wish I knew about these before visiting Bangkok (although maybe they weren’t there 5 years ago). I love the look of the floral cafe and also would love to try that vegan smoothie! Yeah, that smoothie was a killer! Still dream of it to this day, haha. Oh I wish I had come across this post before I went to Bangkok for my honeymoon! I loved Bangkok, it had quite a special vibe. I live in rural Sweden and the contrast of the crazy city life was absolutely fantastic! I really hope I’ll get to go back. Wonderful! You probably had an awesome honeymoon. I love Bangkok nowadays because it’s such a vibrant city. Hope you get to revisit it one day! You pictures are great! 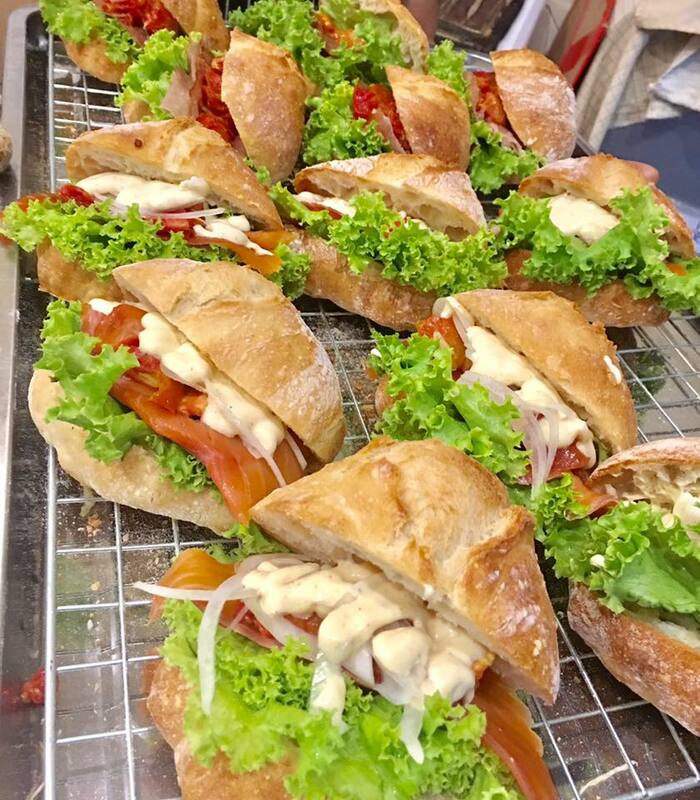 One thing I loved about Bangkok was that there was no shortage of great food – and your post keeps showing how true that is. This is a great list for me to have for my next trip out there – that rainbow cake looks like something I MUST try! True, Christen. Bangkok really is one of the food capitals. One of the reasons I love it so much. Bangkok is such a great destination for food, and your post just reinforces that fact! I can’t wait to go back and try some of the items you have on your list, like that rainbow cake…yum!